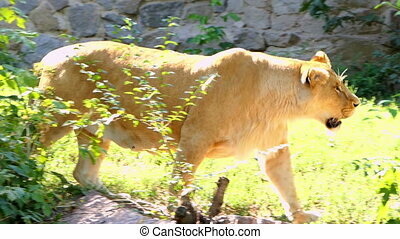 A lion walking. 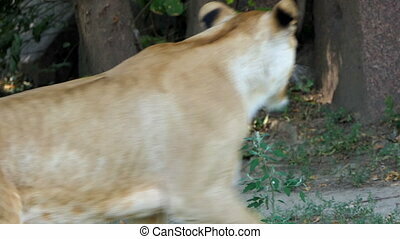 Female lion walking and looking for prey on a grass plain savannah of the serengeti national park, tanzania, africa. 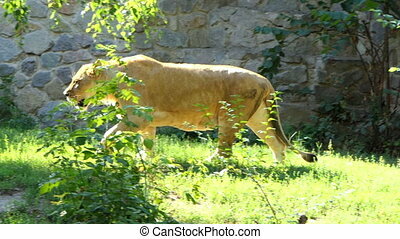 female lion walking and looking for prey on a grass plain savannah of the Serengeti National Park, Tanzania, Africa. 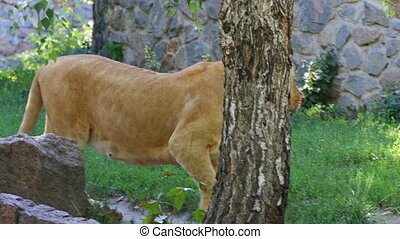 "Lion Walking around in a Zoo Enclosure. 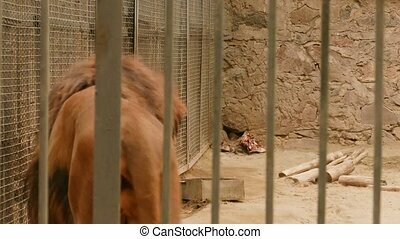 A great piece of stock in 4k definition, perfect for film, tv, documentaries, reality TV, trailers, infomercials and more!" 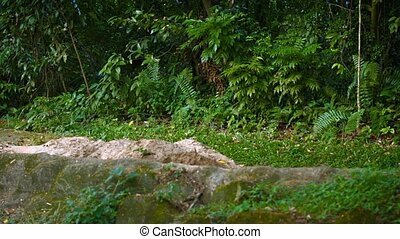 Video 1080p - Solitary, male lion paces slowly over the rocks in his habitat enclosure at a zoo, with natural greenery in the background. 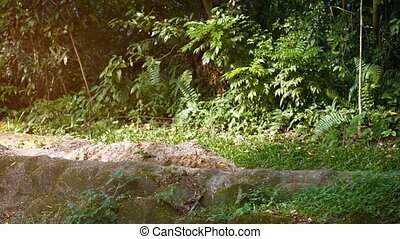 Video 1080p - Solitary, male lion passes over the rocks in his habitat enclosure at a zoo, with natural trees and plants in the background. 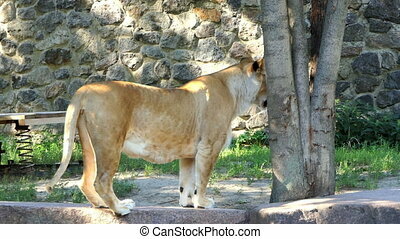 Male lion yawn, walk and sit with zebras in background. 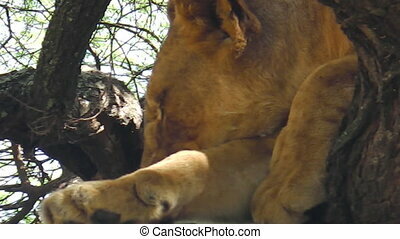 Tired after a good hunt. 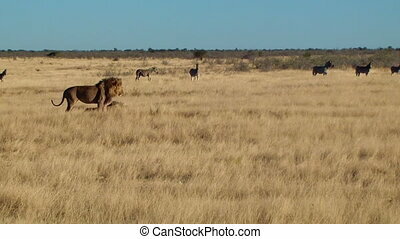 Etosha National Park, Namibia, Africa. 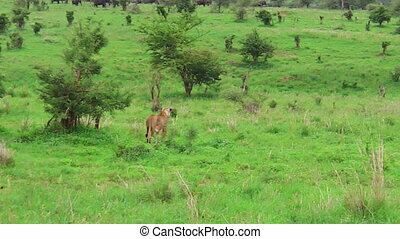 female lion hunting and walking after a family of elephants on a grass plain savannah of the Serengeti National Park, Tanzania, Africa. 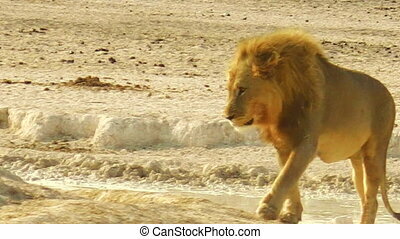 African lion walking at sunset in Etosha National Park, Namibia, Africa. 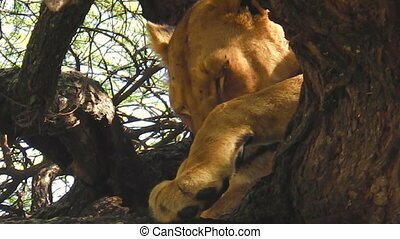 baby lion sleeping on a tree of the Serengeti National Park, Tanzania, Africa. 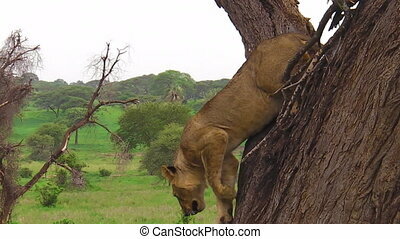 female lion sleeping on a tree of the Serengeti National Park, Tanzania, Africa. 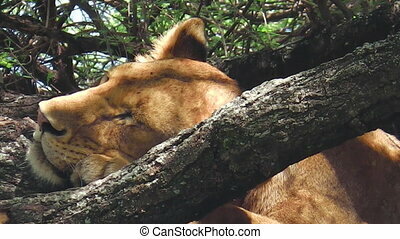 one lion sleeping on a tree of the Serengeti National Park, Tanzania, Africa. 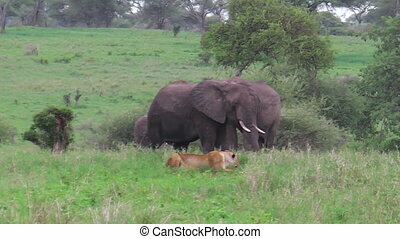 female lion hunting and looking a baby elephant, protected by its mother in the Serengeti National Park, Tanzania, Africa. 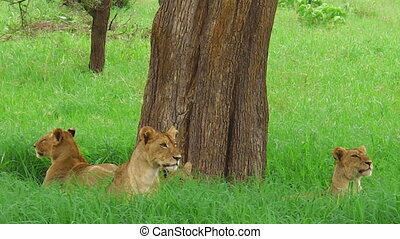 An African lion pride resting under a tree in the Tarangire National Park of Tanzania, Africa. 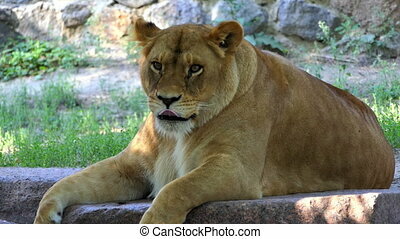 Panthera Leo species. 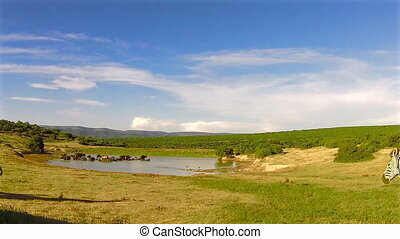 Group zebras walking near a waterhole, Addo Elephant National Park, South Africa. 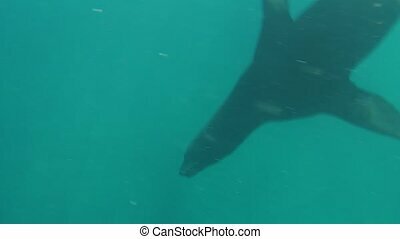 Underwater close up encounter of a sea lion diving in apnea in clear waters around the Isla Coronado by Loreto town in Baja California, Mexico. 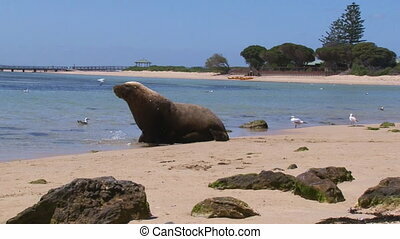 Zalophus Californianus species. 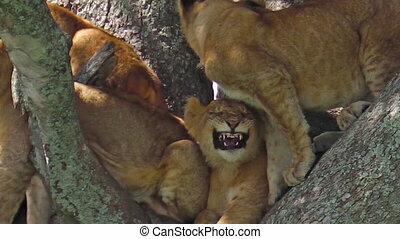 puppy lion on a tree with its family in the savannah of the Serengeti National Park, Tanzania, Africa. 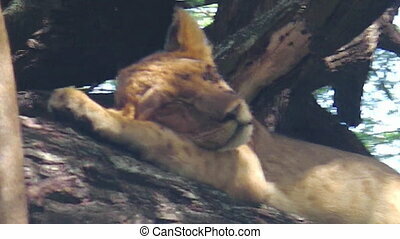 close up of a young lion on tree in the Tarangire National Park, Tanzania, Africa. 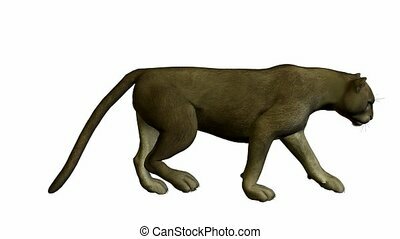 Panthera Leo species. 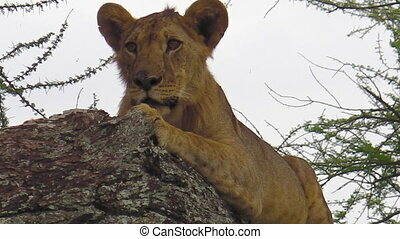 close up of a young lion on tree in the Lake Manyara National Park, Tanzania, Africa. Panthera Leo species. 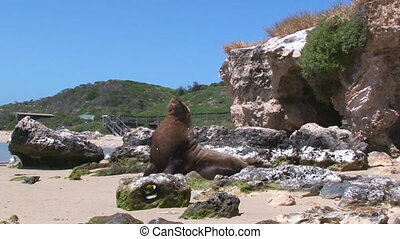 low angle view of a woman walking on the seashore of pristine and white sand in Hangover Bay, Nambung National Park, Western Australia. 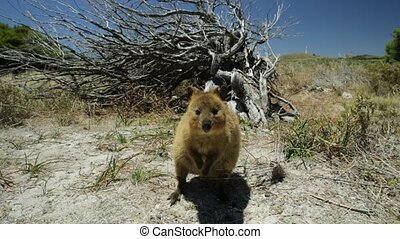 A Quokka sniffing an walking in Rottnest Island, Western Australia. 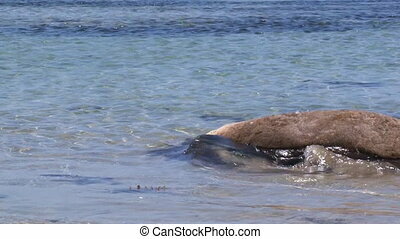 Quokka is considered the happiest animal in the world for its expression that reminds a smile.